Eureka! 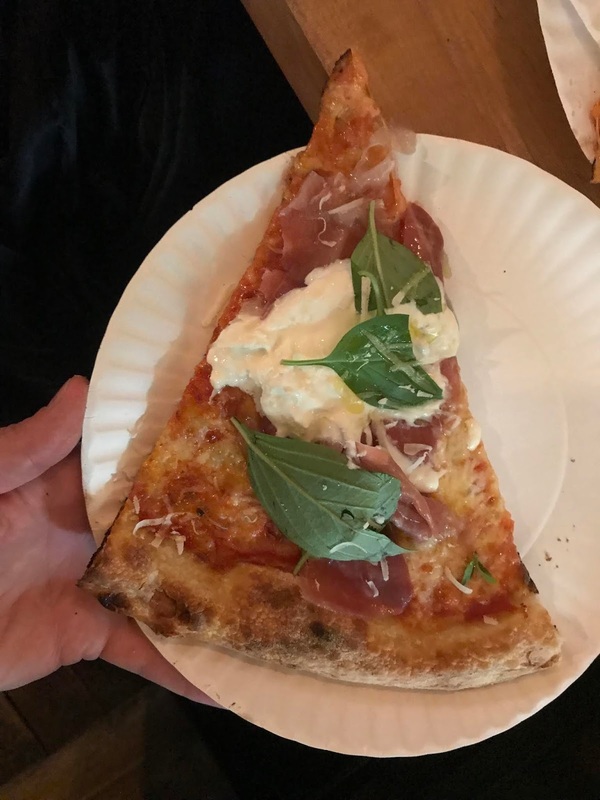 Owner Massimo Laveglia may have created the new gold standard for pizza with the opening of L'industrie in Williamsburg, Brooklyn. 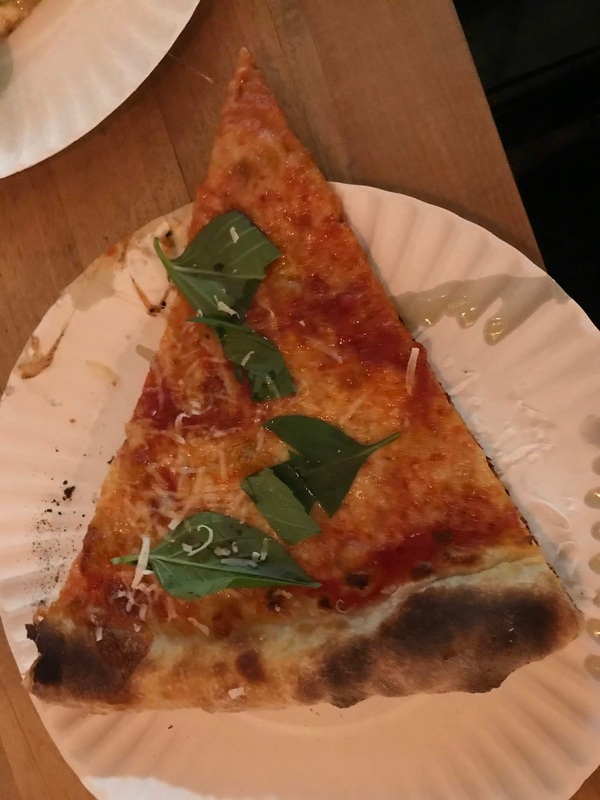 Who needs seats or a restroom when a pizzeria has cracked the code on the perfect slice? Every component of the pizza from the flour blend to the post-oven grated cheese masterfully melds together for an unmatched flavor and consistency. Using an electric oven at an extremely high heat, L’industrie slightly undercooks both round and square pies to serve as the foundation for all of their signature slices. Only after a customer places an order and the slice is reheated are the high quality toppings carefully added. This ingenious maneuver enables the ingredients to remain at their freshest and most flavorful. The most premium of ingredients, like the burrata and Prosciutto di Parma, are baked on residual heat alone after the reheated slice exits the oven. Both are integral parts of the $7 featured namesake slice called the L'industrie. I have never spent that much on a single slice of pizza and must admit it was not only worth it, but it was a bargain. I can't wait to come back and get it again and anything else Massimo dreams up. 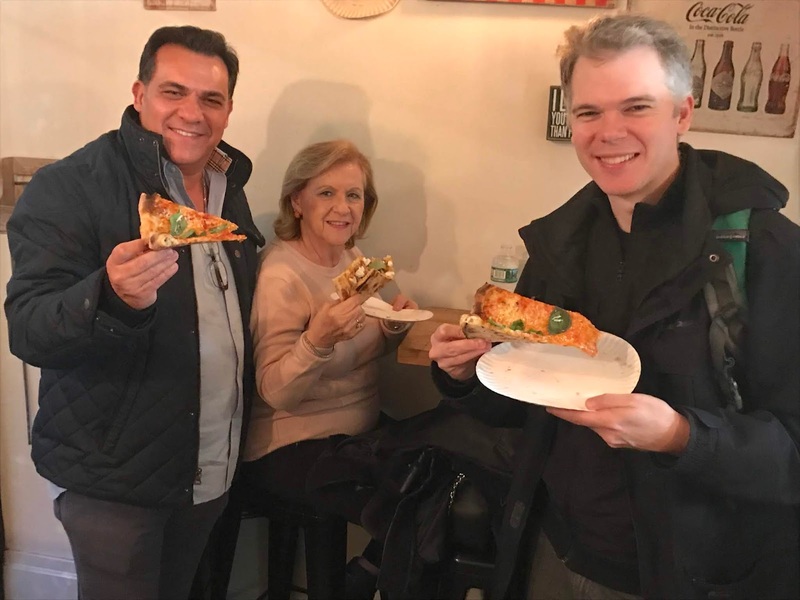 It's a treasure chest of well crafted New York slices. Go to L’industrie, your new favorite pizzeria. 1. Joe Riggio is not only the owner of a Slicey Award winning pizzeria, NY Pizza Suprema but he is also an off the cuff philosopher. He waxes poet about how complacency breeds mediocrity and I couldn't agree more. His perfectionism is what makes his pizza so good. 2. Mary has the greatest Italian accent ever. She said "I love Italy but there is-ah nothing ah-like ah-New York!"